Dallas, Texas, is a city that's always been known for doing things large. 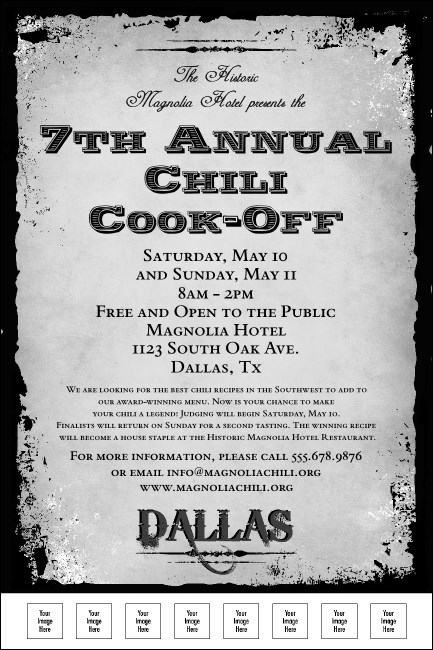 Don't settle for small marketing to promote your Dallas event. This black and white poster is affordable, yet offers a one-of-a-kind design theme, and all the functionality you need, including eight spots to upload personal logos. Get the hometown advantage with local Event Kits from TicketPrinting.com.